We have many styles of Doorman and Bellman shirts, from cool and casual for the warm weather, to formal and long sleeve for those colder days and nights. 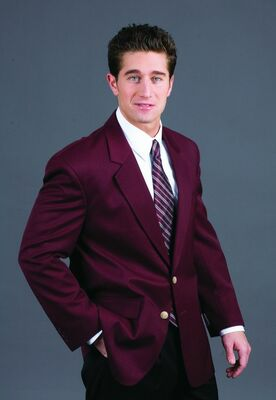 Many styles of doorman, bellman, and valet jackets to suit your front of the house staff. They will look crisp and sharp, yet all the apparel is comfortable and functional! From formal Poly/Wool to the latest in technology, Microfiber, we have the pants to outfit your Doormen, Bellmen, and Valet! We know how to keep your doormen and Valet personnel warm and dry during those winter cold months! The first person your guests will see when they check in to the hotel is the doorman, so it's important for their uniform to make a good first impression. 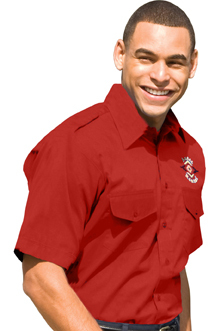 At Sharper Uniforms, we carry a large selection of doorman and bellman uniforms to choose from, so your hotel's staff will look clean and put together. 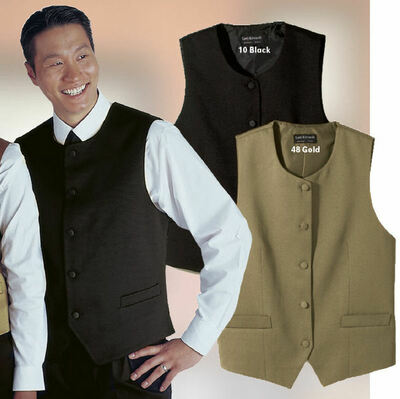 Whether you're looking for basic doorman uniforms, a classic bellhop uniform, Cintas bellman uniforms or cafe shirts, blazers or some other sort of hotel uniform, you'll find the right pieces to outfit your entire front staff at Sharper Uniforms. 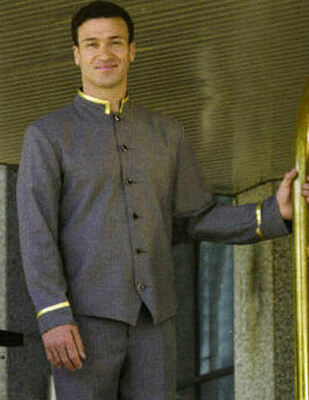 From head to toe, we are your one stop shop for hotel uniforms and menswear. When it comes to hotel uniforms, there's no such thing as a one-size-fits-all solution. At Sharper Uniforms, we carry both formal and casual attire for your doorman and bellman as well as a full selection of outerwear. Most of our uniforms can even be customized with a logo or a name. 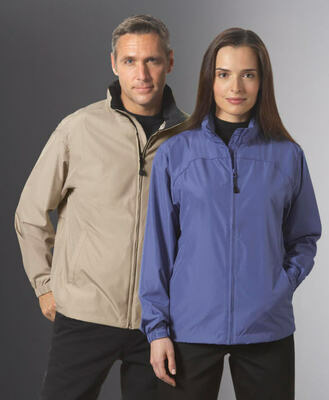 Our uniforms are designed to look crisp and sharp, yet still be comfortable and functional. 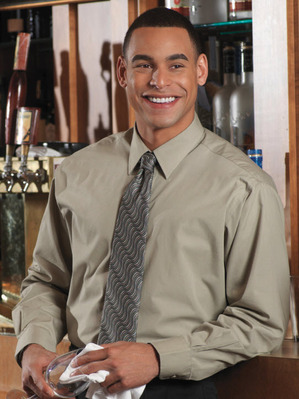 With such a great selection to choose from, there's no reason to buy your hotel uniforms or menswear anywhere else! Valet Shirt available in two great colors! The Banded collar and Cafe shirts are our most popular shirts for restaurants. The shirt is very light, yet, very durable. Wait Staff love the fact they can move around freely in these shirts, and yet still stay cool. Mens Long Sleeve Pinpoint Shirt. 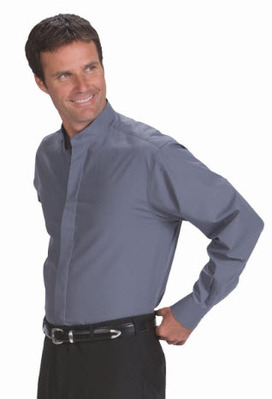 This shirt is made of the finest quality fabric we offer. Great for formal applications such as front desk, waitstaff, & management. Great jacket for Doorman or Concierge! 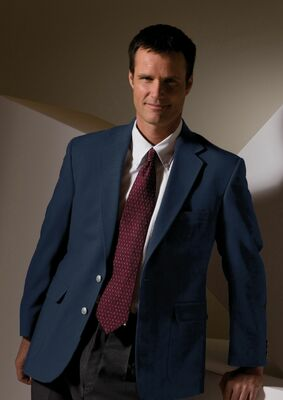 Resort Hotel Hopsack Blazer makes an excellent first impression worn by those all-important front desk staff who are the first to greet your guests. 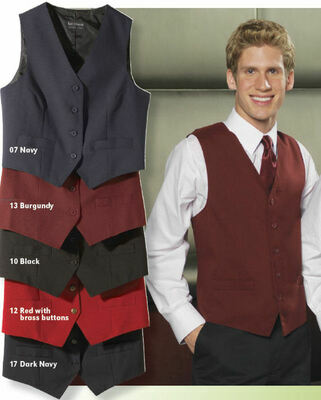 Men's Bistro Vest. High neck Bistro vest. Great for front of the house and those formal occasions. This is priced at half the price of a major competitor!